The highly famous piece from Cloth Inc will give you a simple and clean cut. 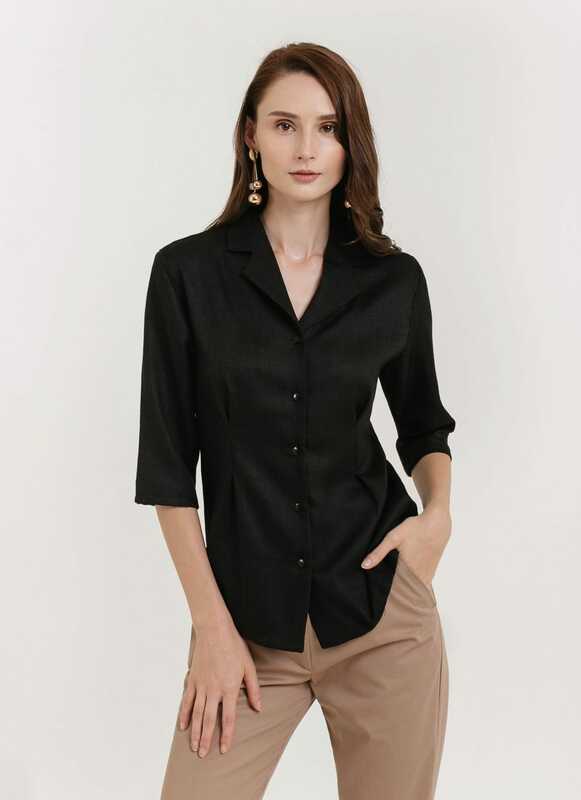 This Linen Colar Shirt is a Mid sleeved shirt with lapel collar and front buttons. Combine it with your bright colored culottes and mules and you're ready to go to any casual hangout!